Judy Proctor is an ordained minister in the United Church of Christ and has served local churches in a variety of leadership roles. With over 20 years of experience leading groups and training leaders, Judy seeks to develop spiritual awareness through a creative approach to traditional Christian practices. Her ministry focus is leadership development and organizational process that is spiritually grounded. 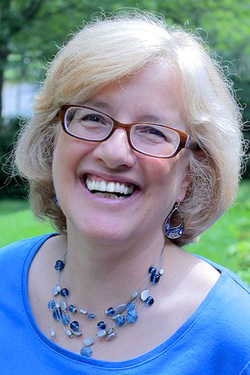 Judy holds a Master of Divinity from Andover Newton Theological School and a Juris Doctor Degree from George Washington University. She has completed a wide variety of other professional training programs on contemplative leadership, the spiritual nature of leadership and organizations, spiritual direction, and life coaching. Her professional experience includes working in both the private and public sectors. Judy and her husband Ken have three grown children and live north of Boston (which means she’s an avid Red Sox fan), where she loves to cook a good dinner to share with family and friends. To inquire about setting up a Spiritual Direction consultation with Rev. Judy Proctor, contact Michelle at mabbott@executivesoul.com.